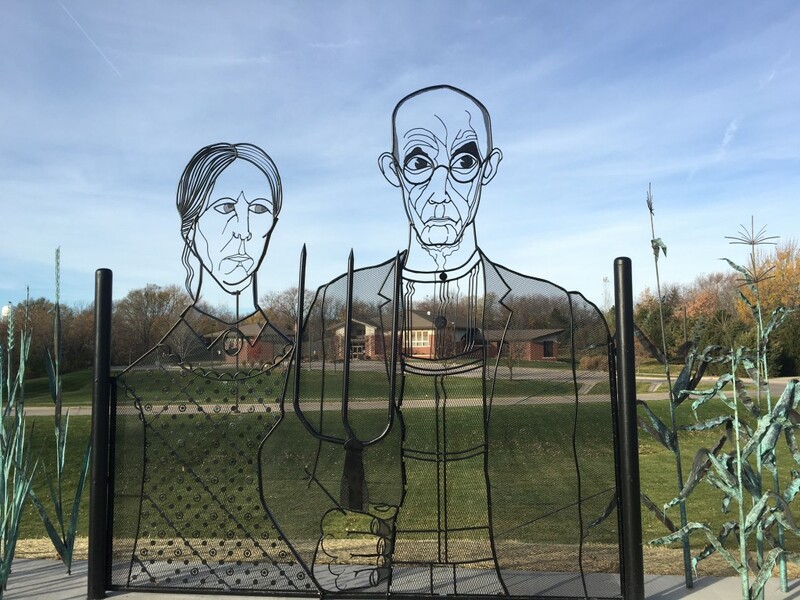 Have you ever passed by a sculpture or iconic art display in the greater Des Moines area and wondered what the story was behind it? We’ve compiled a list of 15 public art displays from Clive to Downtown Des Moines to shed a little light on the story behind the masterpiece! 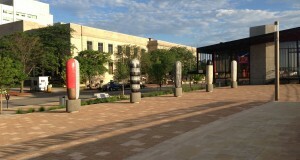 What’s your favorite public art display in the Des Moines-area? Indicative of the name, “Prairie Emergence” is a representation of prairie grasses sprouting from the earth. Location: Located at the entrance to a shopping area, Country Club Marketplace, in [Clive] suburban Des Moines. 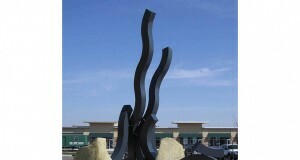 “Leap of Faith” is a series of nine large steel pieces that are designed to be walked through. 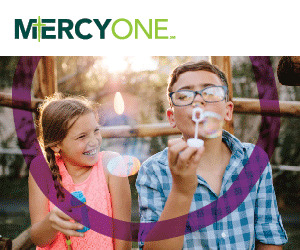 Located in from of Mercy Wellness Center. Location: Along the north side of University Avenue between 124th and 128th Streets. 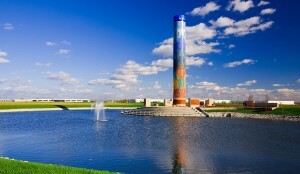 “Paragon Prairie”, also referred to as “Prairie Tower”, is the largest Italian glass mosaic tile mural in the United States. It pays tribute to the native Iowa prairie and it’s history. Location: The Paragon Prairie Tower is located at the entrance to Paragon Office Park at 123rd and Meredith Drive in Urbandale, Iowa. 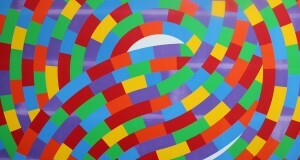 “Circle Of Life” is an abstract representation of life’s winding march. 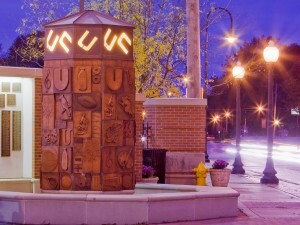 “Echo-Obelisk” represents the history of Urbandale and serves as a memorial to those who attended Urbandale High School and entered the armed services prior to their graduation, amongst other things. 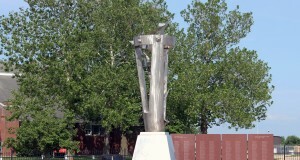 “Victory Victory” is an abstract, stainless steel monument honoring black officers from the First World War and the first Women’s Army Auxiliary Corps (WAAC) of the Second World War. The “Life Flight Memorial” serves as a monument to the crews of Life Flight helicopters and composed of four bronze life size, female figures. “Five ‘Dangos'” are ceramic sculptures which look like vases without openings. 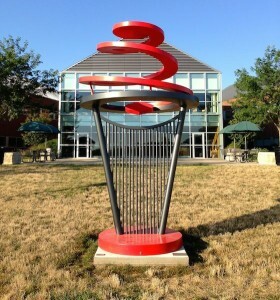 These are truly unique in that they are both painting and sculpture. 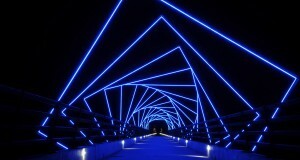 The High Trestle Bridge spans ½ mile across the Des Moines River between Madrid and Woodward. This sculpture forms a gateway symbolizing the geology of cutting and slicing nature to form this river valley. Location: Northwest of Des Moines: the High Trestle Bridge spans the banks of the Des Moines River Valley and is located between the rural communities of Woodward and Madrid. 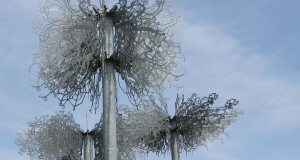 The “Nomade” is an open sculpture inviting people to enter it. The letters represent almost a biological reference to cells, like life experiences tattooed on your skin. 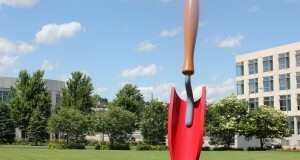 “Planter” is a whimsical piece, designed after a gardener’s trowel. Made specifically to be viewed in an outdoor, garden setting. The vivid colors and curvilinear forms of “Whirls and Twirls” seems to follow no patterns, however the were creating following a very rigid pattern. No colored section can touch another section of similar color. The “Allée” is widely recognized as a major figure in American art. Allée’ is a French word meaning an alley or long vista, which is indicative of the sheer size of the piece. The variety and abstract patterns capture the spirit of college life. 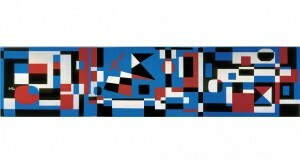 “The Puzzle of Life” is a large-scale public art project inspired by the participating young people (ages 12 – 17). This mural is painted on the west exterior wall of PACE Juvenile Center, which is a collaborative effort between the Des Moines Public Schools, the Juvenile Courts, the Iowa Department of Human Services, and Orchard Place. Location: The exterior west wall of the PACE Juvenile Center in Downtown DSM, on High Street between 8th and 9th Streets. 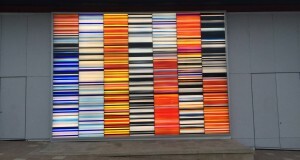 “Expansion” is a mural illuminated by 39,060 LED lights and fabricated by the artist in collaboration with Derix Glassstudios. 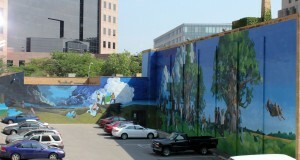 Location: The project is integrated into the north exterior wall of the Court Avenue Pump Station (CAPS) between the Des Moines River and Water Street, south of Court Avenue, Des Moines.